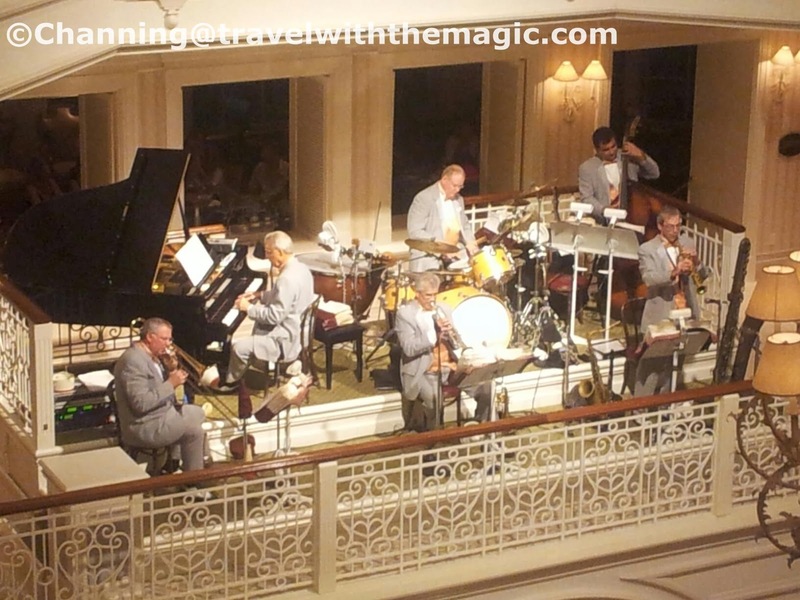 If you think live entertainment is only inside the Disney Parks, you are missing out on some truly special experiences. The Disney resort hotels offer a variety of talented performers as well. Covering a wide range of musical styles and price ranges, there is something for everyone. I've only been to Hoop-Dee-Doo once and it was about 19 years ago (holy cow!) but it is definitely on my list of must-dos once my daughters get just a little older. We had a blast the last time we went and had a table right by the stage. My dad is a good sport and that's fortunate since one of the performers decided to pick on him all night. My brother and cousin and I had a great time hitting each other with napkins when they instructed us to spin them over our heads. (Hey, we were kids.) Mickey's Backyard Barbeque is a little more kid-friendly so we may give that one a shot in the meantime. It's a family-style BBQ meal like Hoop-Dee-Doo however as the name implies, the entertainment is more child-oriented with characters and lots of chances for kids to get up and wiggle. Thanks to Channing Wilson at Travel with the Magic for sharing this photo. Another favorite live entertainment option is the Spirit of Aloha Dinner Show at Disney's Polynesian Resort. I've been 4 or 5 times over the years. When we started going, it was indoors. While that was climate-controlled and not subject to extremes in the weather, I love the luau cove where the current show is performed. It's one of those Disney things where the food is good but not stellar and the show is a bit contrived but the overall experience is still somehow lots of fun. The most recent storyline involves a girl coming home from the mainland and reconnecting with her Polynesian roots. That's the contrived part but it does tie together the series of beautiful hula dances, powerful warrior dances/chants, and fire-knife dancing. The dinner is served family-style and includes ribs, chicken, pineapple, etc. The dessert is a chocolate mousse volcano. Everyone is served these treats, which appear to have smoke coming from them, at the same time, for a little fun and drama. One performer whom I haven't seen at all is Yehaa Bob. I have heard fantastic things about his show at Port Orleans Riverside and someday I will get over there and catch a performance. If you ever get the pleasure of visiting Disney's Hilton Head Island Resort, be sure to check the events schedule and spend some time with B'Lou Crabbe. He is part storyteller, part musician, part Shadow sidekick and part magician. What a great list of resort entertainment! I love that your family has experienced so much Disney fun together!! Dakota is a big jazz fan - have to visit the Grand Floridian to hear them for sure. What a great selection of entertainment, and in particular the Spirit of Aloha Dinner Show. We haven't done that one yet and it sounds like something for our next trip. We just did Hoop De Doo last year, which was our second time, and it was a blast with a 5-year old on the trip. I love Hoop Dee doo. We go every trip and enjoy the show each and every time. Bob Jackson is definitely another favorite!